The New Year's Event will be hosted at Dave & Buster's Tampa. As a guest of the New Year's Event, you will have access to the event space, as well as our Million Dollar Midway, packed to the rafters with games and simulators! 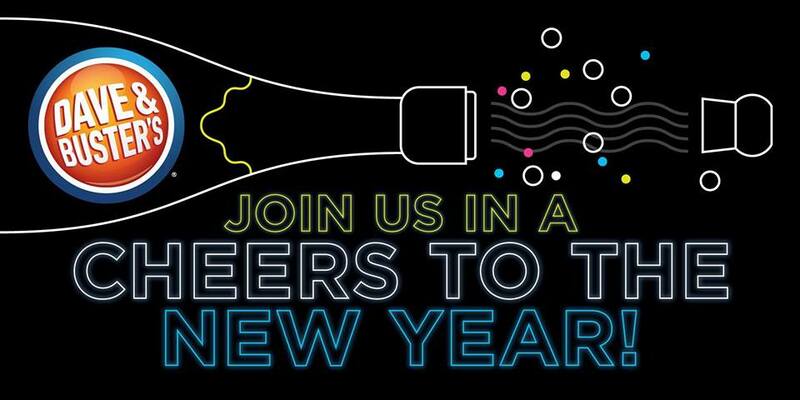 Join us for an exclusive celebration to ring in the New Year! Our amazing options are available to help you Eat, Drink, Play, Party and Ring in the New Year! All packages include a dinner buffet of all your Dave & Buster's favorites and play in the Million Dollar Midway. Speaking of awesome gaming options, Unlimited Video Game Play will be added to each guest Power Card who purchases Package 2! This option will allow you to play experience All-You-Can-Play FUN of our non-redemption games until Dave & Buster's closes! Awesome prizes, raffles and excitement will be enjoyed by all!